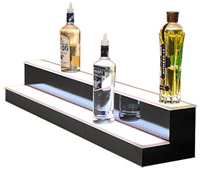 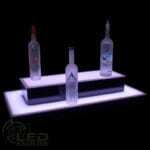 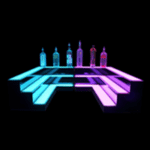 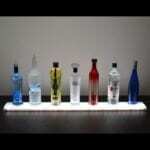 LED Baseline’s LED corner table is a clean, exciting addition to any nightclub, gallery, or home bar. 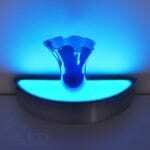 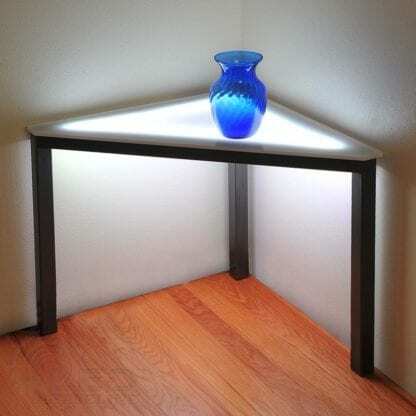 This programmable LED table is great for lighting up corners and creating focal points around a room. Did we mention this lighted corner table is an exceptional complement to our LED end tables? The standard dimensions for our LED Corner Table are 28″ wide, 16″ long, and 22” tall. 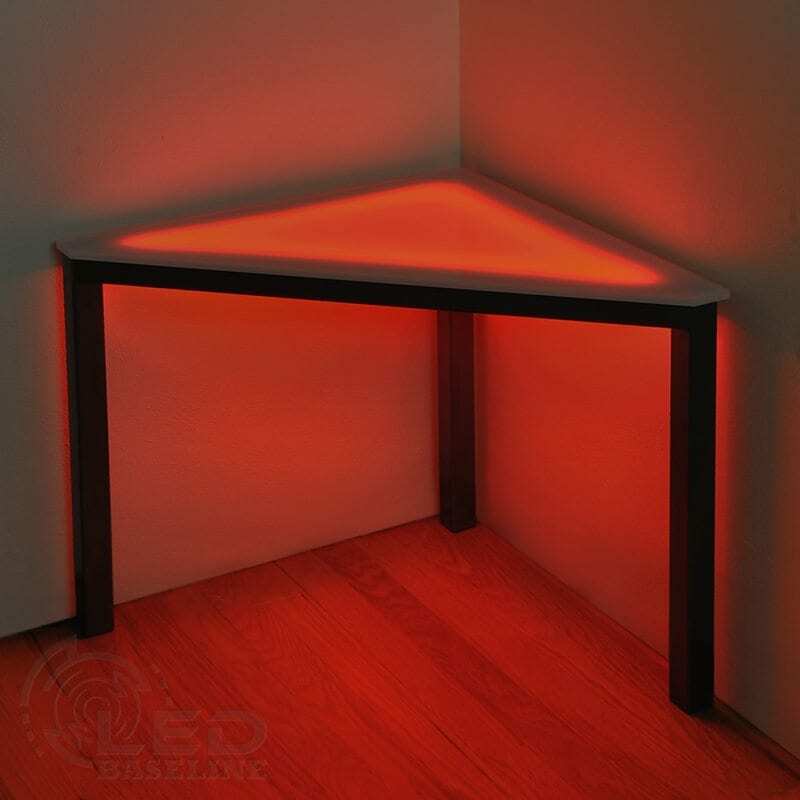 LED Baseline’s lighted corner tables feature impact-resistant acrylic panels and welded steel frames with durable black satin epoxy finish and anti-scratch feet caps. 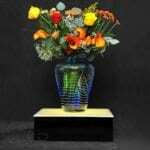 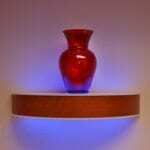 Custom colors and dimensions are available, just give us a call. 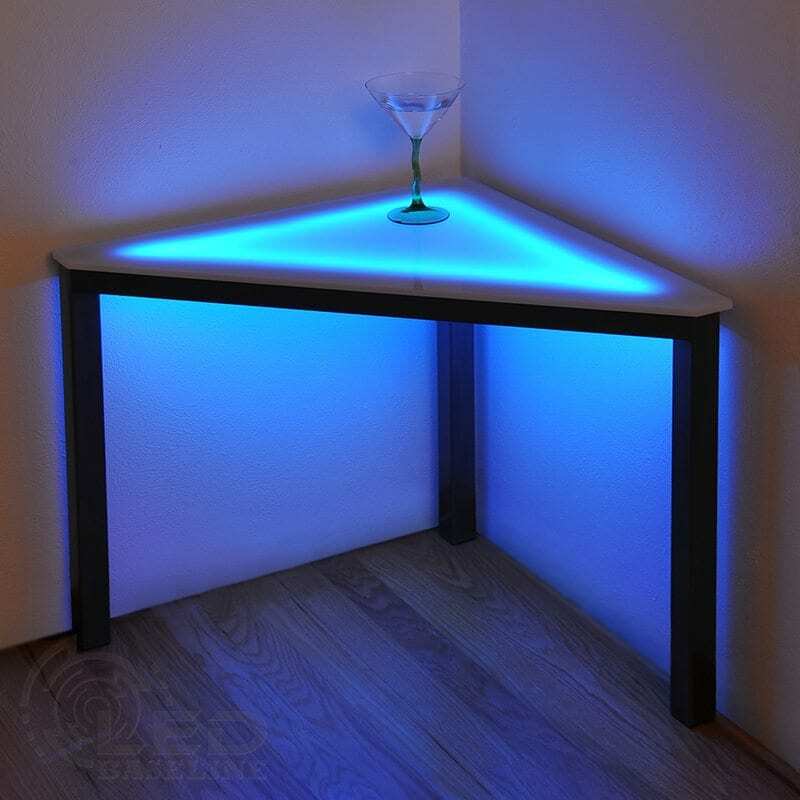 Each LED corner table comes with a remote control and a 12v DC power supply for use in a standard outlet. 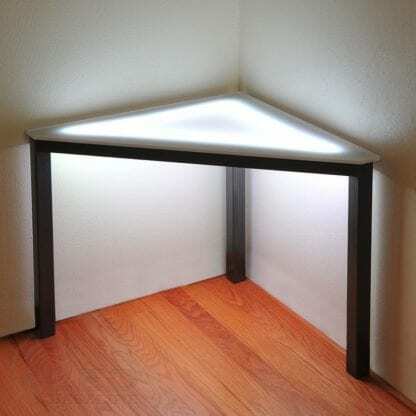 Battery power is also an option, and includes battery, charger and battery holding bay. 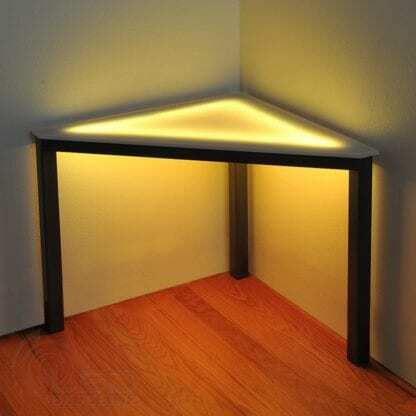 LED lights are located inside the tables and positioned to highlight objects placed on them. Multiple LED tables can be chained together and operated with a single remote control. 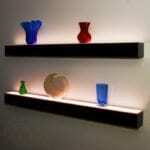 You can also create and save up to six (6) custom profiles! 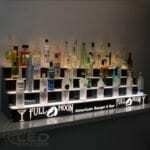 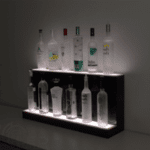 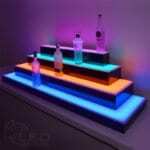 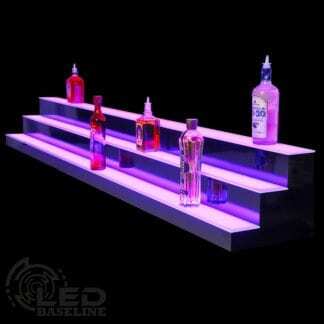 LED Baseline designs and builds LED shelves and LED furniture to suit your needs. 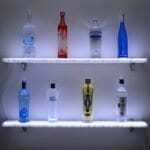 Additional questions? 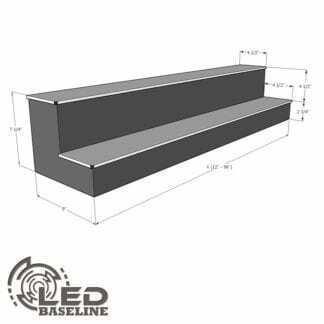 Contact LED Baseline today!